May 23, 2014 – EMMITSBURG, MD – Checklists are an integral part of fire service operations. They help reduce the possibility of errors and ensure incidents run smoothly. Now, the National Fallen Firefighters Foundation is making it even easier to access and use checklists for 10 major fire department operations. 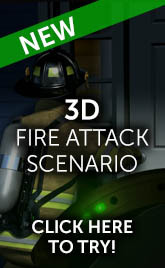 They’re available for free through FireHeroLearningNetwork.com, the NFFF’s flagship online learning system. The ten Operational Checklists were developed by recognized experts and leaders in the fire service and detail the typical major tasks to be conducted during specific operations. Checklists are available for Building Collapse, Confined Space, Engine Company Operations, Hazardous Materials, High Angle, Incident Command, Safety, Swift Water, Trench Rescue, and Truck Company Operations. 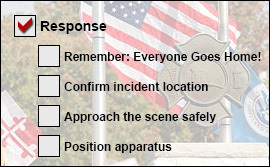 “Operational Checklists can be a tool for officers to use to ensure that critical elements of response and operations are not missed.If used appropriately, a checklist can prompt incident commanders and company officers to safeguard crews so Everyone Goes Home,” said Ron Siarnicki, executive director of the National Fallen Firefighters Foundation. Registered users can download a standard version of each checklist, with all items recommended by the NFFF, or customize each checklist with their department’s information and only the checklist items relevant to their department’s procedures. Users can also save more than one version of a checklist, enabling those who serve with more than one department to create checklists for each entity. All customizations are saved in the registered user’s account so they can be downloaded again or revised. To access the checklists, users simply register with the Fire Hero Learning Network, a process that takes just a few minutes and is free. To get started, go to FireHeroLearningNetwork.com.